If you’re a mom who’s been up all night breastfeeding, odds are good you haven’t had a chance to update your iPhone’s operating system yet, or even realized that yet another update had been released. But trust us, once your little one nods off, you’re going to want to take a chance to make it happen, because the emoji you’ve been waiting for all your life is here. That’s right: it’s a breastfeeding mom! We all know you’re scrolling through that phone while you wait for baby to get her fill, but having a full-on text conversation can be a little more tricky. Unless you’re super-adept at typing with only one hand while the other balances your child, you’ve had to put some chats on hold to make sure she gets fed, which typically meant sort-of-accidentally ghosting whoever was on the other end. No more! Now you’ve just got to hit one little emoji, and your conversation partner will take the hint. Magic! And, OK, maybe not all moms have these texting issues – congrats on your coordination, Supermom! 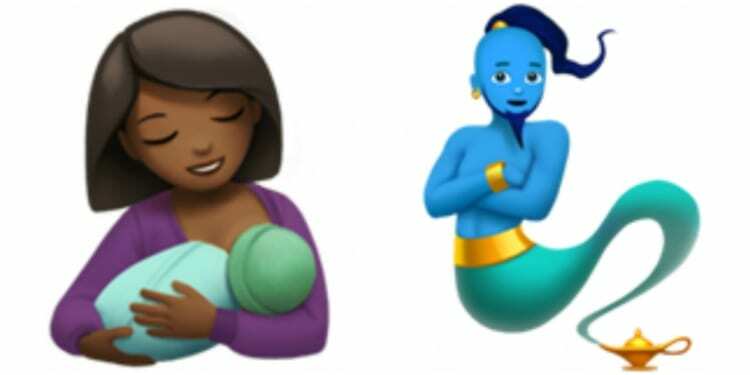 – but these emojis are still great for how they’re helping the continued fight to normalize breastfeeding. After all, it’s not only normal, it’s healthy, natural and beautiful! 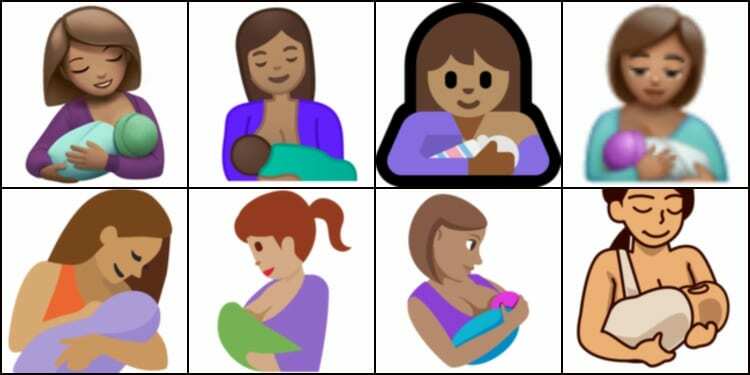 There is no emoji which represents the concept of breastfeeding either literally or figuratively. 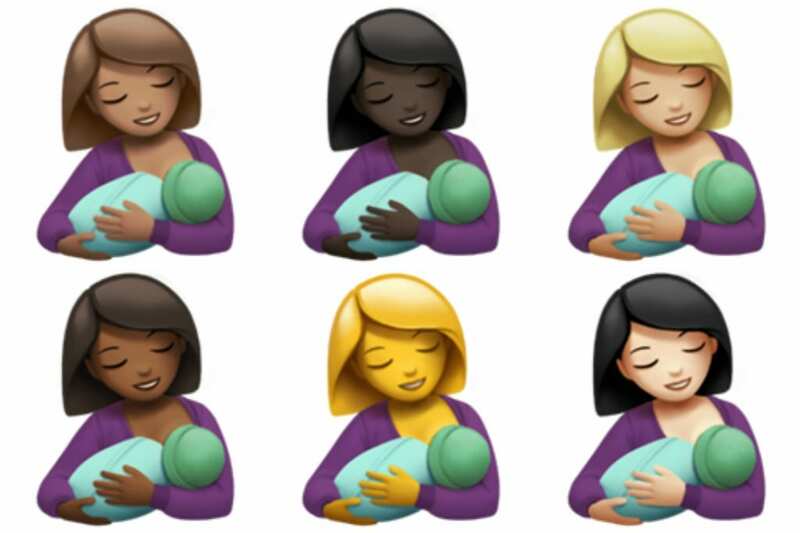 The closest emoji – Baby Bottle – is ineffective as a replacement, due to the global push forbreastfeeding where possible. Using a Baby Bottle emoji as a substitute for a breastfeeding emoji would be like using a car emoji as a substitute for a bike. Both are forms of transport which achieve many of the same goals, but are clearly not interchangeable, and give a different message than intended [. . .] Breastfeeding has existed since the beginning of humanity, and will continue longer than current technology, mobile phones, or emoji for that matter! Amen, sister friend! Breastfeeding is part of our lives – much more so for most of us than, say, a genie – so it should be part of our online lives, too! I mean, which one of these applies to YOUR life more, right? In the top row, from left to right, we’ve got the emoji in Apple, Android, Microsoft and WhatsApp. On the bottom, from left to right, we have Facebook, Twitter, EmojiOne and emojidex. That should about cover it, don’t you think? So what do you think, mamas? Is this emoji the one you’ve been waiting for? How excited are you? Any other mom-life emojis you think you might need?